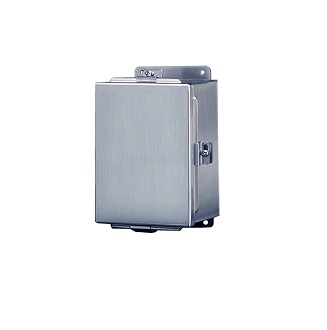 NEMA 4X stainless steel enclosures are available in 304 and 316 stainless steel with a smooth brushed finish. The NEMA 4X stainless steel has continuously welded seams ground to a smooth finish. 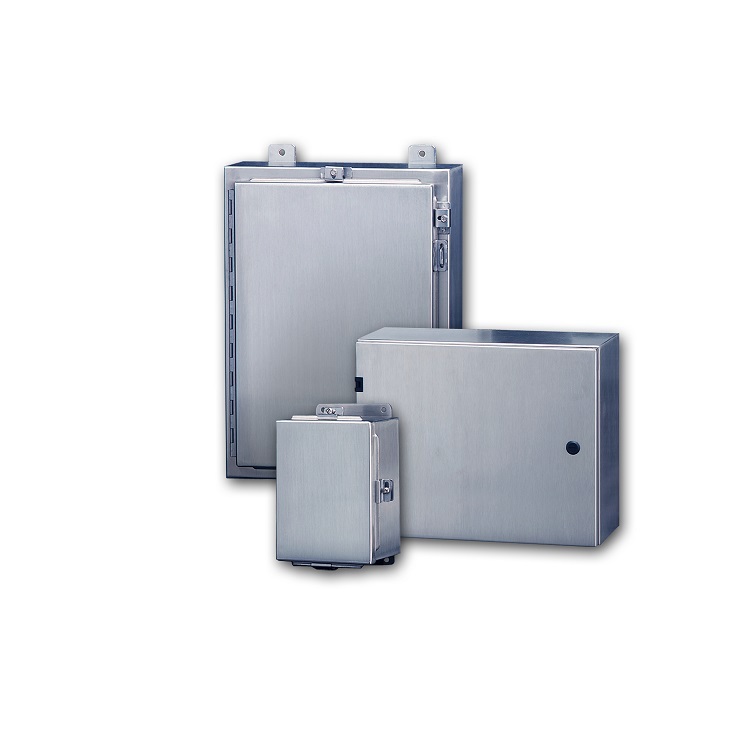 JN4X SERIES JIC ENCLOSURES​ are NEMA Type 3, 3R, 4, 4X, 12, and 13 certified. Two styles are available the JN4XHSS, a continuous hinge clamped cover enclosure and the JN4XSS, a lift-off clamp cover enclosure. N4X SERIES SINGLE DOOR ENCLOSURES are NEMA Type 3, 3R, 4, 4X, 12, and 13 certified. The NEMA 4X single door enclosure has a folded lip around the door opening to provide complete and maximum gasket contact and to prevent liquids from dripping into the enclosure when the door is open. Each enclosure comes complete with 3/8 collar studs (for mounting optional panels), ¼-20 grounding stud on inside of box and four wall mounting back brackets. Each enclosure door is equipped with a neoprene gasket, optional print pocket, padlocking hasp and stainless steel door clamping hardware. The door is easily removed by pulling the pin on the continuous stainless steel piano hinge. Both the mounting brackets and piano hinge are secured to the box by mechanical clinching. 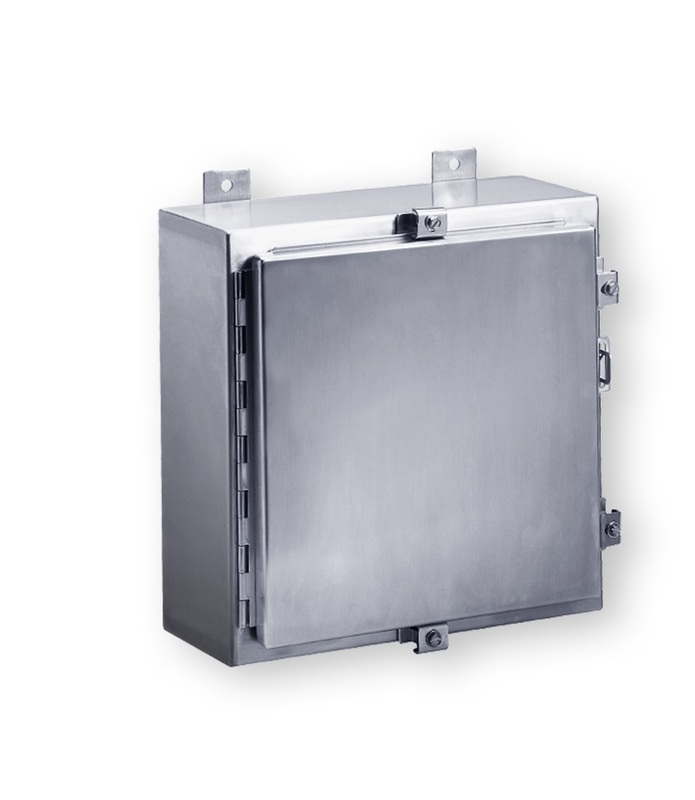 Large NEMA 4X stainless steel enclosures come complete with additional panel mounting studs and maintain a rigid construction through the use of door and body stiffeners. There are no knockouts or holes in the door or body.